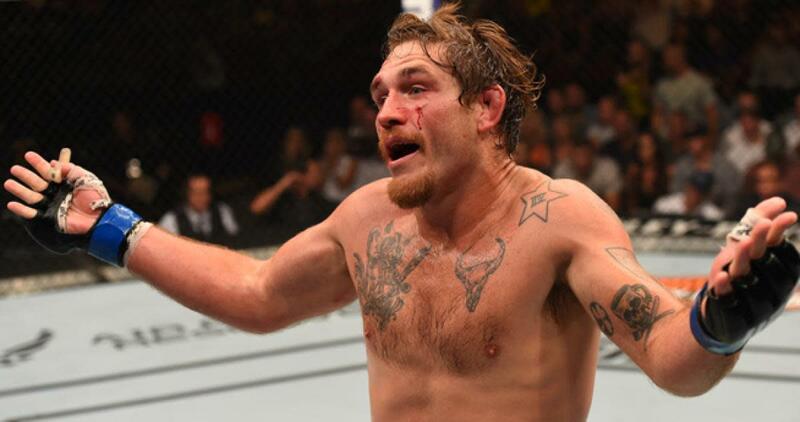 UFC light heavyweight and Filthy Four Daily co-host Tom Lawlor addressed his recent 2-year-ban for Ostarine on Monday's MMA Hour with Ariel Helwani just days removed from returning to a pro wrestling ring for the first time in years. In the interview, Lawlor maintained that he has no idea how the Ostarine got in his system from that test five months ago, but doesn't have the proof to combat what both the primary and secondary tests are saying. He said he tried to work with USADA and that the organization even asked him if he would be willing to pay for some of the costs of the second round of testing. After he expressed some concerns about that, they covered the full cost. The 33-year-old said it was unlikely that he will return after the two-year suspension is up, but also said he had not asked for a release to possibly fight overseas. Lawlor talked about the process, watching his urine be tested, Cyborg Justino's recent TUE exemption, and more, starting at the 34:16 mark. Lawlor returned to the ring for Las Vegas-based Future Stars of Wrestling against Silas Mason, a clip of which you can see below. Lawlor said that while he was previously turned down in his efforts to work in pro wrestling, there's seemingly been a shift in policies that made this weekend possible. Lawlor said WWE and NXT probably aren't in his future, and hasn't heard from ROH or TNA yet. Ever since the match, there has been increased interest on Twitter on having Lawlor wrestle against rising star and former UFC fighter Matt Riddle. During the interview, he said he hopes to follow in the path Riddle has blazed in his brief time in the game.